Comment: We have a cracked, but not crumbling concrete patio. We also needs railing for porch. Comment: Need to build a walkway from the front Driveway to the deck around back. Comment: I have a creek by my parking lot. a 10 to 15 foot section of the curb come loose from the drive way because of a water erosion/drainage problem. 787 Old Lebanon Dirt Rd. Nashville Concrete Contractors are rated 4.70 out of 5 based on 503 reviews of 35 pros. 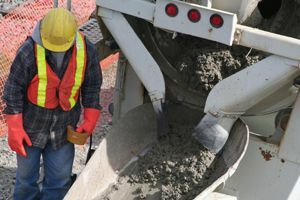 Not Looking for Concrete Contractors in Nashville, TN?